Discussion in '"Vintage" Instruments' started by mikeowen17, Mar 4, 2019. I'm about to turn 60, and have owned a fair bit of both. 1) One thing is for sure,. a SINGLE PICKUP model will always have a stronger tone and sustain than a double pickup. Many people say it is because of the lack of the 2nd pickup's magnetic pull. I disagree. I believe it is mostly because the structure of the wood is not compromised by the hole cut for the neck pickup. 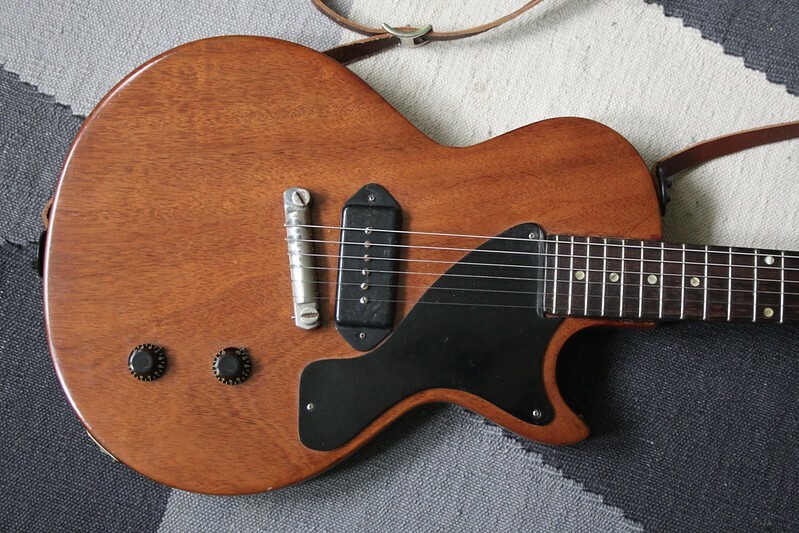 I've owned too many guitars for anybody to make me think that the magnetic pull of the 2nd pickup is even barely noticable (maybe barely...back in the day they didn't have X2n's and all that other stuff,..just paf's p90s, and super distortions.). I disagree on this, simply because I've removed the neck pickup from guitars that came with 2 pickups and the difference IS there and it is quite evident. If you were right I wouldn't have noticed anything. FWIW, I'm not into heavy metal stuff - too old for that **** - but I always liked Jake and his playing. Kinda unusual choice of axe for him here, but pretty cool nonetheless. Junior. I have two now and used to have another. However, the best Hubert Sumlin sound I ever got was with a an old Special that happened to get that honky/polarity mixed type tone on the middle setting. If you can get one that does that, virtually nothing else is like it. I have a 55 LPJ and 59 and 60 LPSs. The LPJ is quite unlike any other guitar, not just LPSs, for incredible sheer musical brutality. I've done 500+ gigs using the 59 LPS for all our bottleneck numbers. Through a late 50s Gibson tweed amp (GA8 or GA18T according to size of venue) its perfect for crunchy blues/rock. If I could only have one, the LPJ does things notother guitar can imho!! carl_is_tall and Yamariv like this. I had this 62 Epiphone Coronet at one point and it is a cheaper way to get a single pickup P-90 guitar made by Gibson from that era. Yes, the P-90 roars. The differences though is that the body isn't as thick - although it was extremely light. I like the 50s shaped necks a bit more too. This one was not quite as thin as a 60s slim taper. 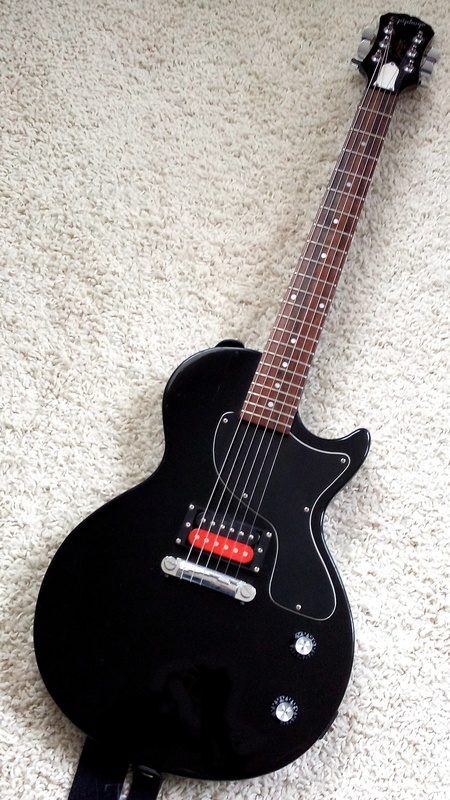 I do find Gibson's P-90s come in different specs from the 50s and 60s, plus there are good and bad just like vintage PAFs. The wood though was extremely resonant and light probably around or just under 6lbs. I voted for SC because that's what I've got - stripped TV Model c57. Love it. cottonmike, Sloop John B, erksin and 3 others like this. 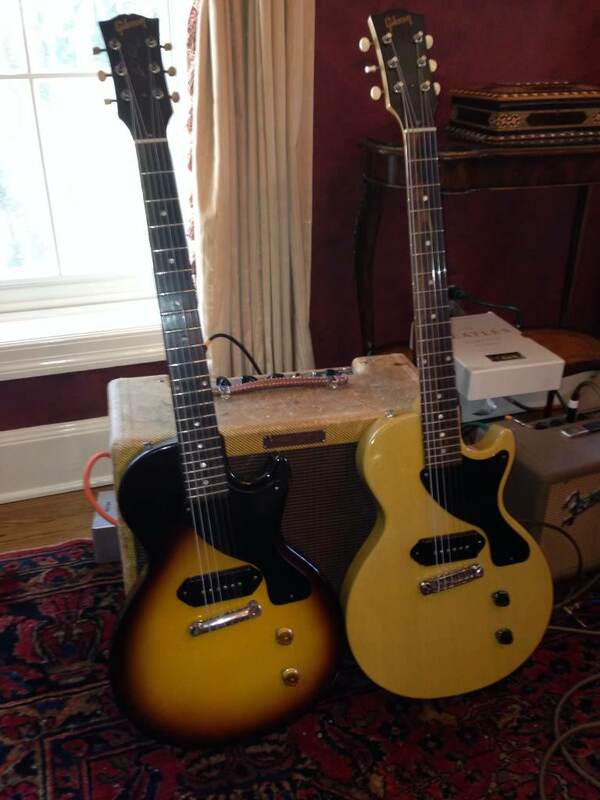 Are any of the newer Gibson Jr's worth the time searching out? I am kind of in this boat right now. But between a Junior and 54 RI. Thanks for everyone's input so far. Junior, and I've had both. cottonmike and 27sauce like this. I don’t have experience with the vintage ones (except for an early 65 Sg Jr), but I do have a custom shop LP Special and A custom shop LP Special. Both are from 2006. I was kind of surprised when comparing them that the bridge pickup position sounds pretty darn similar between them. If I had to keep only one it would be the special. I really dig the junior too though. Aaaaand I may have to change my mind. I need to change strings on both and compare, but the junior seems beefier than the special right now. A few years ago I decided to jump in to my first real vintage (50's) Gibson and knew all I could afford was a Jr or Special. I played a few at the guitar show in Arlington. Guitar shows are the greatest way to try out guitars you never could otherwise play. Anyway, decided the Jr was the way to go. Specials were nice, but every Jr I played had an extra something to it. I was not looking for a museum piece. I wanted a player that was all original but that had plenty of "character." Shopped around a bit, called some secret contacts, found a '55 in Kansas City. Drove up and got it. Holy crap this thing is so freaking fun to play. Like has been said before it's almost freeing to play it because there are only 2 knobs,... and you have to rely on touch and feel more than anything. As much as I like it turned all the way up,.. I also love the sound with the vol on 5 and the tone rolled off to 5. It gives it an almost acoustic sound that is really unique and that I can't get from any of my other guitars. That guitar into my '64 Vibro Champ or my 5e3 is just too much fun. Here is a clip from a gig of our TP&TH tribute band. A version of You Wreck Me. This is the '55 Jr into my '66 Vibrolux Reverb vol on 7. I might have turned on an El Capistan delay. I use the PS 2 to tame the stage volume. The Jr is SO GOOD at clarity while still having drive to it. An amazing quality of the guitar. Here's my '55 LPJ, my '66 Tele and my '66 Vibrolux Reverb. I call that gang "The Hard Ways"
Dingusbox, erksin and Yamariv like this. For me, LP special. The best sounding old LP I ever got to spend time with was my buddy's mid-50s LP special. Amazing p/us, huge sound. By contrast, I played several LP juniors from different vintage years. Never found one I liked as much as that special. My preference for the neck p/u being one reason for sure. This video convinced me to pursue a Junior. Juniors teach you how to really use the volume and tone knobs, how to dig in or play light. Eventually I found one, for $15 and a $7 pickup swap plus knobs, push/pull pickup split, a fret level, about $30 in bits and bobs total. .... And it gets played more than the Gibsons in the fleet. Special. The neck pickup is the best neck pickup on any guitar..bridge is a fire breather on mine. Into an ac30 is perfect and I usually just use a klon and a tuner. Junior. Blah, blah, long neck tenon not affected by neck pickup route, strings not pulled on by the neck pickup...etc. Then? I’d say play as many of either one as you can...and buy the one that floats your boat. I made my choice, 2 1957s. Big, badass sounding P90s. The Jr has a huge round neck and very deep and powerful pick up, particularly on wound strings. The TV is lighter in weight and sings from the eighth fret up, lighter response from wound strings so maybe more balanced. Have an untenable Pigtail on her, which shifted the EQ a bit. Cool jr. I’ve got a 56 that could probably serve as my only guitar. Did yours have the stud holes filled and moved back? Thank you! They were not moved, but were repaired from The posts leaning forward. Since I didn’t own it before the repair, I can’t describe any difference. But if it was any better, I’d be shocked. This guitar is almost the perfect one guitar guitar. If I could only own one,... it would either be the Jr or my 335.